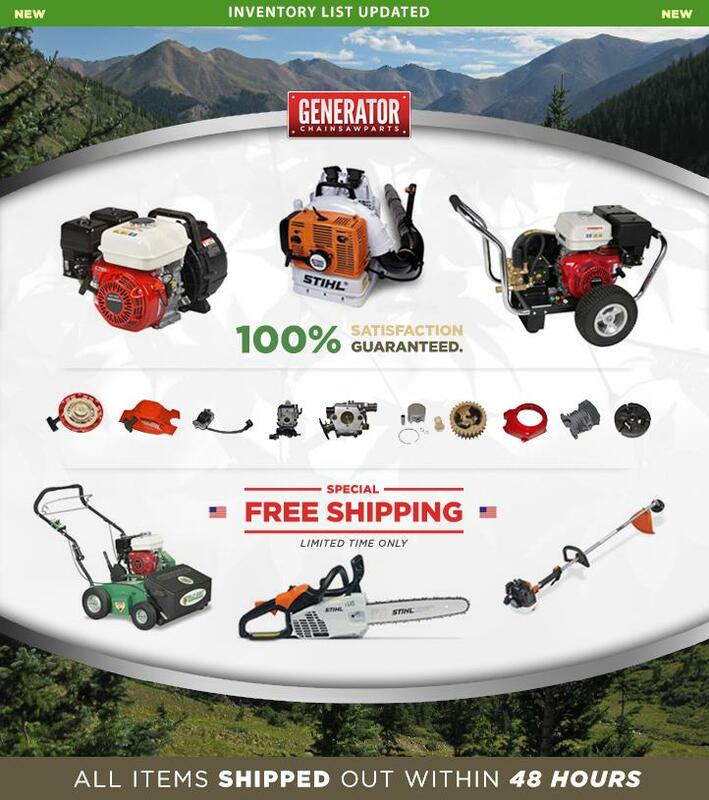 We carry a wide variety of chainsaw, generator, lawn mower, bush cutter, grass trimmer, water pump parts for all types of engines. Thousands of parts are in stock ready for you to choose from! Orders normally ships out within 48 business hours from our warehouse in California. Domestic deliveries normally require 3 - 7 business days. International deliveries may take 2-4 weeks depending on the location.